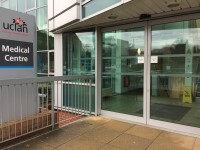 This venue is situated in City Campus Preston. The nearest mainline station is Preston. You are on Parking (Foster Car Park). Skip to the next section. 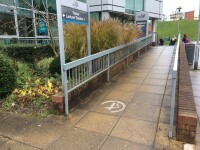 The dimensions of the Blue Badge parking bay(s) are 370cm x 500cm (12ft 2in x 16ft 5in). The nearest Blue Badge bay is 17m (18yd 1ft) from the main entrance. The furthest Blue Badge bay is 60m (65yd 1ft) from the main entrance. 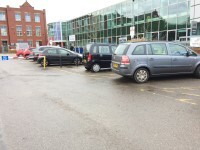 A permit is required to park on university car parks. 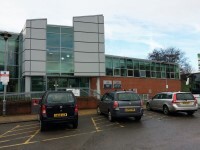 For further details on parking on campus please see the University How To Find Us page. The width of the door opening is 220cm (7ft 3in). 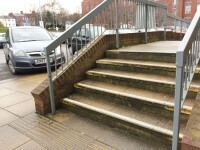 There is tactile paving at the top and bottom of the steps. The desk/counter is 17m (18yd 1ft) from the main entrance. 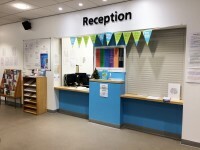 Level access to the desk/counter is via lift. 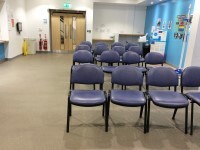 Music is played in the waiting room. Customers cannot charge scooters or wheelchairs at the venue. 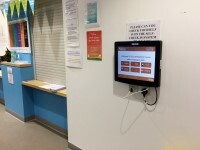 The portable infrared hearing assistance system can be used as and when required throughout the campus. 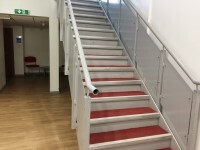 The floors which are accessible by stairs are LG-G-1. There are 15 steps between floors. 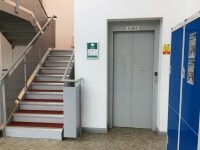 The floors which are accessible by this lift are LG-G-1. The dimensions of the lift are 103cm x 160cm (3ft 5in x 5ft 3in). 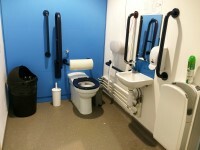 This accessible toilet is approximately 18m (19yd 2ft) from the lift. 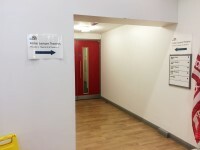 The accessible toilet is located off the main corridor. 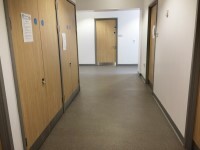 The dimensions of the accessible toilet are 160cm x 220cm (5ft 3in x 7ft 3in). The height of the toilet roll holder is 125cm (4ft 1in). 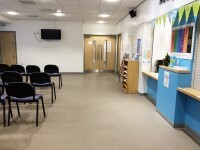 There are six consulting rooms available.